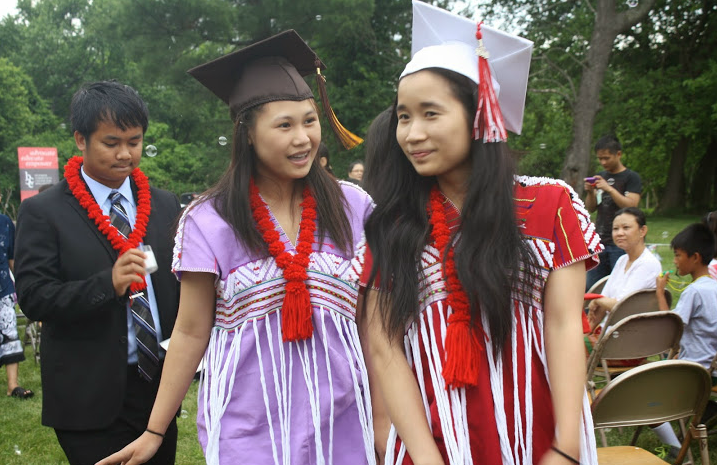 The Burmese Community Center for Education (BCCE) is a grassroots organization that provides culturally appropriate and human rights-based assistance to former refugees from Burma through its different programs and projects. 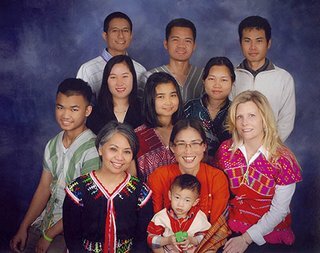 The BCCE works to strengthen and empower these newly resettled immigrants to become informed, independent, and contributing members of society in their new country. Fleeing war and persecution and arriving with a very low level of English proficiency and native-language literacy, many, if not all, of the members of the community served by the BCCE need intensive and culturally appropriate services to navigate the new systems that are very unfamiliar to them. It is our hope to manage and minimize challenges faced by Burmese refugees due to language difficulties, health related problems and a lack of basic education. Not only are they expected to navigate the many legal, financial, health-care, and social systems of this country, they also must deal with the traumas experienced living life as a refugee. Many of our members have both physical and psychological needs generated by such an experience. We are deliberate in considering the well-being of each community member and work to incorporate overcoming trauma education into our programs such as our Organic Farm and community and youth educational programs. While the education system of this country contributes a great deal to our community’s learning opportunities, they have distinct and urgent needs which we address through our programming. Looking into the heart of our community, our Early Learning Program focuses on our children and their mothers. The program is founded on the Montessori Method and was developed to provide a quality, inspired and meaningful early education experience that prepares our children to confidently join the mainstream educational and societal system. The mothers participating in the program are being trained to achieve Child Development Associate credentials building skills in child development, pediatric CPR, Early Reading, Budgeting and Financial Management and more. Ultimately, these mothers will attain home-based childcare licenses. This approach serves to maintain the heritage language and culture of young children in the community as well as providing an additional source of income to families. Many students whom have been involved in our Growth Program (gr.4-5) as well as volunteering in the community have become the mentors to our elementary students in the BCCE Walk-In Program. The main objective of this program is to provide the opportunity for academic support and enrichment and socio-culturally appropriate engagement. These student leaders attend educational and training workshops as well as obtain Community CPR/First-Aid Certification. The tutors collaborate to develop native language rich lessons and culturally relevant activities. They guide their young brothers and sisters through the educational system, but more importantly, they are role models whom the young students want to emulate. Students who choose to walk away from educational opportunity are of great concern to us all. Our older children, arriving here after years of interrupted or no mainstream education, are overwhelmed by being placed in age-appropriate classes rather than academic developmentally appropriate learning environments. The inability of educational and social services personnel to effectively interact with the students and their families creates an enormous gap that must be addressed. Students often leave school because they are the only ones in their family with the language facility to translate and speak for their parents. Responsibilities at home limit a student’s ability to attend school as they must care for their siblings or other family members or find employment to help support their families. Added to the trauma of being a former refugee, our young people here are getting involved with illicit drug and alcohol use, issues with local legal authorities and teen-age pregnancies. These young people are a lost generation and our community is not equipped to address these issues especially when they are trying to survive in a new country. Many families are not ready to stand alone by the time assistance is ended, 3 to 6 months, with the sponsoring agencies. Many are not equipped or prepared to take up jobs available in the market due to lack of prior experience or basic education and the agencies are not designed to provide these. Countries such as Finland have a two year refugee immigrant program that provides language and cultural orientation, academic and job skills related education with a salary and childcare. Immigrant children in Austria are not given standardized exams until they are proficient in German and can enter the classrooms academically and socially prepared. Those agencies, which have assisted our community, are not entirely prepared to engage with populations of refugee immigrants. Our community was invited to this country and wants to become contributing members of society. The BCCE members strongly believe that success as a community arises through empowerment and education is key to ensuring the successful wellbeing of the community. Without even a modicum of education along with the opportunity to pursue such, the welfare of our community will always be at risk. Michelle Smith is one of the founders of the BCCE and currently serves as a member of the board of directors and as the Walk-In program officer. Ms. Smith is a professional in the field of education, working for Perry Meridian School Corporation serving English Language learner and is an advocate for free and public education.